How far are you in development? Aside from a little tweaking, the core game is complete. 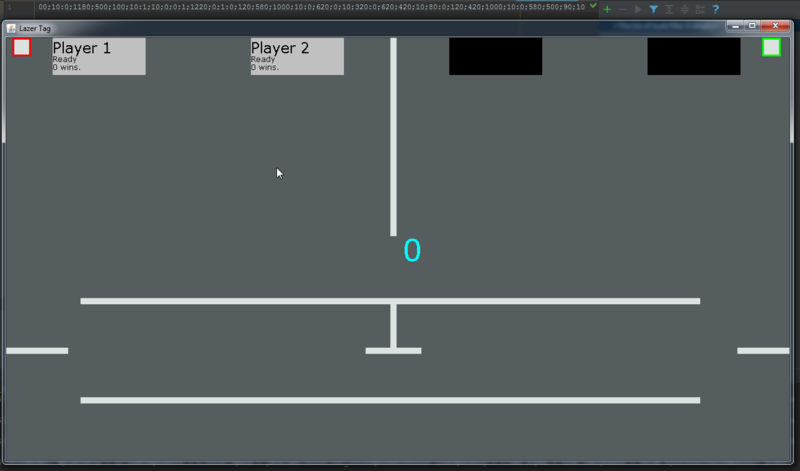 After making the level editor all I really have to do is polish it. Post them (if any) in a reply below, who knows, maybe I still have a lot more to develop. The language I used was java, and I used java swing for rendering, and a library called Jamepad for gamepad inputs, but other than that everything is from scratch . How many people will this game support at once? The code is in place for 4 players, but I only have 2 xbox controllers so I can't test any higher. Spawnpoints and player colors DO work though, and I expect input would work too. Wait! I still got questions! Example of level codes at work! To be honest, I think it works well, of course the look isn't finished. Remember what I wrote in the post, polish hasn't been added yet. Once i'm done with the level editor I'll be able to polish it up, but for now i'm still adding in the game. Also, that's a very broad statement you made there too, what do you think I should work more on? To kill two birds with one stone, I changed the reload progress bar's color to the player's color. The game's UI now scales with your game's size! It's been awhile, and I haven't been doing much in that time, but I finally forced myself to start working on this game again and it was worth it! This is a four minute long gif showcasing everything you can do in the level editor now, there are like ten hotkeys listed in the help menu (H), and each are pretty useful. You can share your own levels with others by sharing the level code, then they can load in the level code and save the level so they can play it. In the future I might allow players to choose which level they play on, but I'm still not sure. As of right now, that's randomly chosen. 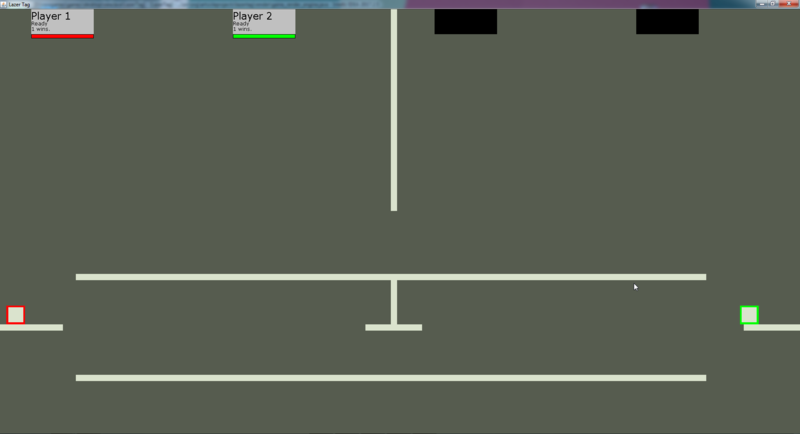 My first time programming wall jumping into a game and, unexpectedly, it was as easy as adding normal jumping. This would've been satisfying to add if I hadn't wasted two hours trying to find a physics bug. Also I forgot to mention, as well as wall jumping the physics accuracy can now be changed! 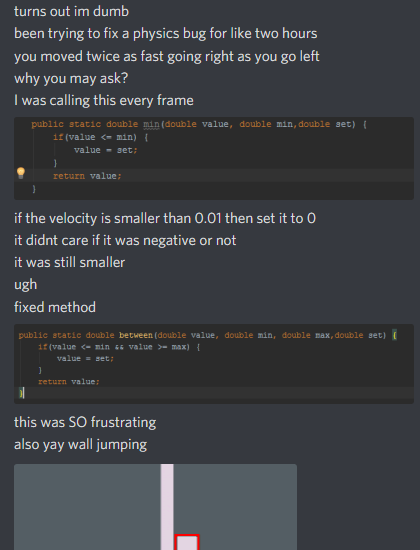 Before it would add your velocity to your player's position, and if you were colliding with any object it would move you back and set your velocity to 0. That was a dumb method for me to do because you could potentially skip past objects! Now you can change `physics accuracy` which will loop through your velocity in increments of `physics accuracy` and do what I just said but instead of using your full velocity, it'll just use whatever the physics velocity variable is. So instead of skipping past objects, now you might just collide with them. Also this is the way bullets worked for awhile, I just never got to adding it to players because I was unsure if it would work the same way as it did for the bullets. It seemed to work out just fine though. A few hours went into developing this ready screen, I even spent like an hour on making a function to blur the images in case it looked good. I think the background looks better without blur, but I always have the option of going back. I see a lot of things in this I can change later, but for now i'm just trying to implement everything. I'm planning on adding text on the bottom, maybe quotes or in-game tips. Maybe in the future I can program in a pixel-blending function so I can smoothly blend between the images instead of just changing the image. It's been awhile, but I'm developing this game again! The graphics are of course not final, but I would like the environments shown in the gif to be recreated in the final product once I'm ready to create the final textures. Each level style contains three files, the foreground for blocks, the background for blocks, and the background level image. I think this gives me enough freedom to make a lot of environments look well. In the future I may add different characters files for each level style, but I'm unsure if I want the characters to be changing every time the level style changes right now. Even now I think it looks decent considering the fact that I'm really bad at graphics (Defiant of my username). After some work I made a simple animation system, which includes running, standing still, crouching, shooting, and falling. I expected it to be more difficult than it actually was. As always, the graphics aren't final. With these new player textures I'll add a new type of color indicator, maybe a rectangle around the character's hitbox, or a triangle above the player in their color. Sound effects are in the game as well and, for those of you against the fidget cube thread, the falling sound is made by a fidget cube. Does this prove their superiority? Yes. This placeholder texture is a recurring character of mine, which I've used before. Here's a gif of a less-evolved version walking incase you want to see its evolution. Also, the player's hitbox does get smaller when it crouches, but you can't jump or shoot while crouching, although you can still move at a slower speed than normal. When you're crouching in an area you can't normally fit into you can't uncrouch until you get into an area you can fit in, regardless of whether you're holding down or not.